Although we’re well acquainted with all things engagement and marriage in America, we’ve always been curious how our traditions compare to those across the world. We’ve heard murmurs about proposals being different—and, in some cases, nonexistent—but less about the much-hyped item at the center of them all: the engagement ring. To find out whether the gem is such a big deal internationally, and what some other customs surrounding it might be, we asked our foreign friends to weigh in on engagement ring traditions everywhere from Africa to Sweden. 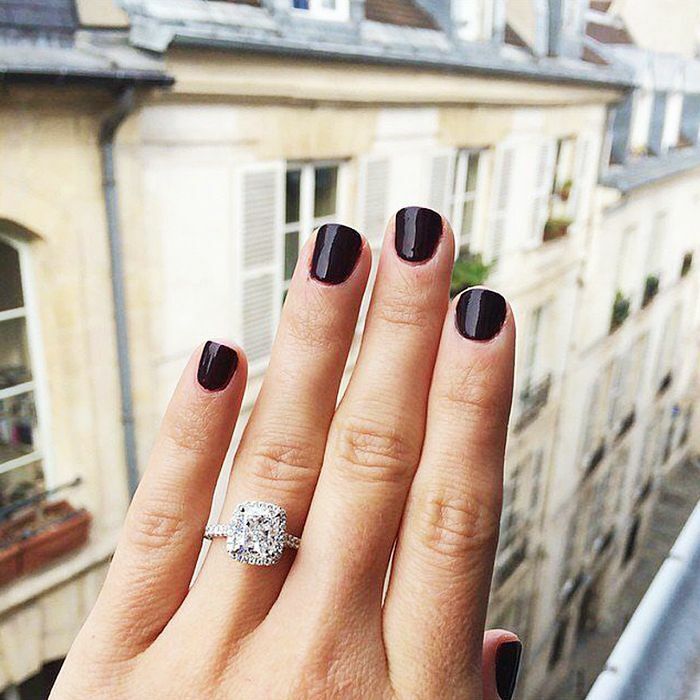 Scroll down to discover some seriously fascinating international engagement ring customs. Brides in Russia, Germany, Norway, and India wear engagement rings on their right hands instead of their left (as is common in England, France, and Canada). In Chile, both men and women receive engagement rings, which they wear on their right hands. Once they’re married, they move them to their left hands. Many Argentinian couples only exchange rings at the engagement and not again at the wedding ceremony. In traditional Hindu cultures, women wear toe rings (known as bichiya) instead of finger rings. Some women will wear a Western-style engagement ring as well. Native American tribes living in North America opt for silver rings decorated with semi-precious stones or natural materials, like turquoise and red coral. In France, women tend to prefer semi-precious stones over giant diamonds. In Nordic countries like Sweden, both men and women exchange engagement rings, which are usually simple gold or silver bands. The Irish often opt for a Claddagh-style engagement ring (a heart held by two hands and topped with a crown), which is symbolic of their culture. However, because the style is worn for other reasons, it must be worn on the left hand with the crown pointing toward you to symbolize engagement. Once married, the crown is turned away from you. Many Chinese people have started to follow the Western tradition of exchanging rings, but it’s not originally part of their culture. To this day, money and other goods may be exchanged instead. The Samburu warriors in Northern Kenya are known for wearing ornate beadings around their neck, with certain colors indicating engagement. Available in sizes 4.5 to 7.5. Available in sizes 4.5 to 8.